World Health Day is celebrated each year on April 7th, sponsored by The World Health Organization (WHO). The purpose of this day is to take time to learn about the importance of taking care of our health and encourage others to do the same. This year, we’re focusing on diabetes. Affecting an estimated 9.4% of American adults, diabetes is a widespread condition with potentially dangerous results. Learn how to care for yourself or a diabetic loved one in the best way possible. Type 1 diabetes, the less common form, is believed to be caused by a malfunction of the immune system. For reasons doctors still don’t quite understand, your body’s defenses attack and destroy portions of your pancreas. Since the destroyed pancreas can no longer produce enough insulin, a hormone that keeps your blood sugar levels manageable, sugar builds up in the bloodstream and causes the symptoms listed above. Type 2 diabetes begins with too much insulin in the body. As the pancreas produces more insulin, either to counter a poor diet or just because of a malfunction, your cells gradually grow immune to the insulin. More and more is required to actually have an effect. This stage is known as insulin resistance. Eventually, your pancreas can no longer produce enough insulin, and your blood glucose levels skyrocket. Pro Tip: Type 2 diabetes can be greatly influenced by your eating habits. Don’t overload your body with sugar and make your insulin scramble to keep up. Race: Doctors can’t explain this, but African-Americans, Hispanics, Asian-Americans, and Native Americans are generally more likely to develop diabetes. None of these on its own will cause you or a loved one to develop diabetes. However, if you recognize multiple risk factors in yourself, consider getting tested for diabetes. Once you’ve been diagnosed with diabetes, care will depend on your doctor and your other health risks. 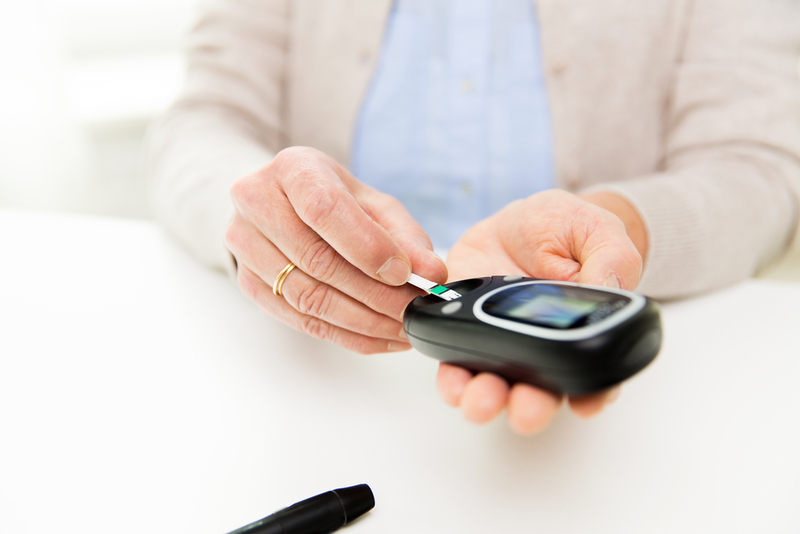 Generally, you’ll need to take the initiative in monitoring your blood sugar. Keep fruit or candy with you in case your sugar levels get too low, and extra insulin in case they rise too quickly. Make sure your blood sugar levels stay in a healthy range. If you haven’t been diagnosed but know you could be at risk, take good care of yourself. Eat a healthy, low-sugar diet and exercise regularly. Talk to your doctor about the likeliness of developing diabetes and specific steps you can take to prevent it. World Health Day is an important time each year to remind us to put our health first. When it comes to diabetes care and prevention, it never hurts to contact a physician for a checkup and urge your loved ones to do the same. Join the conversation to spread awareness about this year’s World Health Day theme!